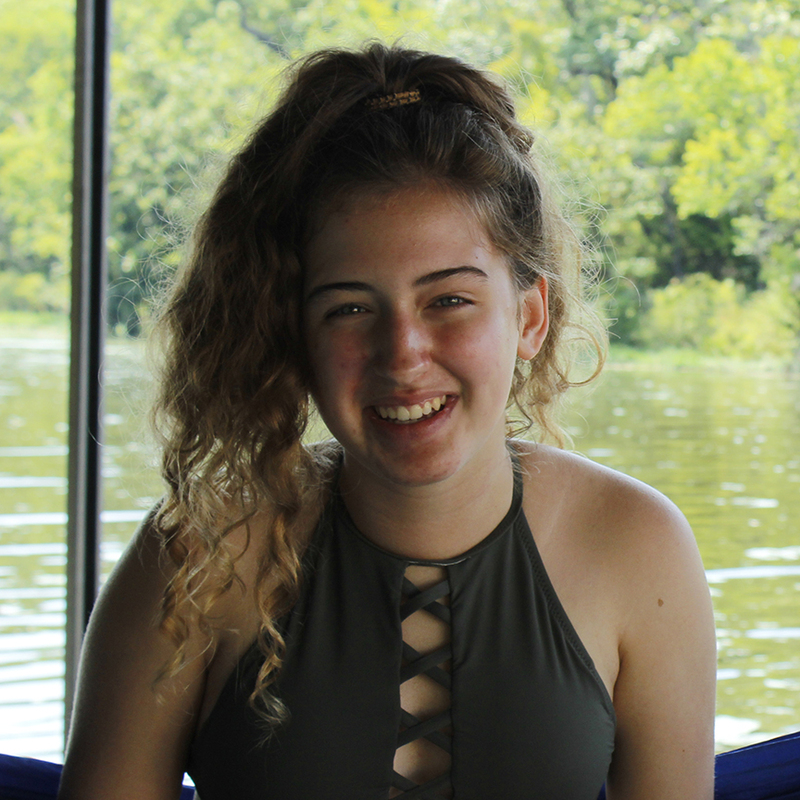 Wini Kapple is a Teen Staffer and she shared some of her story with us this summer. A: I could see myself going into directing, which would be really cool. Or I think it would be really cool to be a psychology counselor, maybe a family counselor; I think that would be really cool, because a lot of the things that my youth group has been focusing on is just relationships with people, relationships with God, relationships with your family, and relationships with yourself. Q: How long have you been here at Youthfront, or is this your first summer here? A: I Teen Staffed last summer, and I went here as a camper. My dad used to be the Teen Staff Supervisor at Youthfront Camp West, so I’ve been at West since I was a baby! Q: What are you doing this summer at Youthfront? A: This is my fourth week Teen Staffing this summer, but my first week at LaCygne, and I hope I get to Summer Staff. That would be awesome! Q: What has been your favorite thing that you have done this summer as a Teen Staffer? A: I really enjoy some of our discussions and devotion time. I also enjoy just being with the people that are here, because the people here are just so incredible, and they are so accepting and loving towards everyone and anyone. Q: Has there been a conversation or a topic that you have talked about with your fellow Teen Staffers that you will remember even when camp ends? A: Week 1 we talked about the Beatitudes, and that was in our devotion time, so we kind of got to talk about it afterwards—just being content no matter what situation you’re in. I think that’s what I’ve been focusing on this summer, just contentment. Q: What are your favorite aspects of Youthfront, and why do you keep coming back every summer? A: The community. The community is like no other community out there; it’s just amazing. You just get to be yourself and not care at all what other people think, because everyone just loves you no matter what, which is really cool. Q: If you were talking to somebody who had never heard of Youthfront before, what aspects other than the great community would you share with them? A: Other than the community, we have fun parties; we’ll have dance parties and yes, we have to set out chairs for the campers, but it’s fun because we’ll have music playing and we will be dancing the entire time.